KSW Construction had an effective work week last week. KSW continues to keep construction of the Vennebu Hill project moving along! Vennebu Hill is Wisconsin Dells’ newest wedding venue slated to open June 1st, 2018. After a hefty excavation and disassembly of the Gothic barn, the foundation was poured last Friday. The KSW team numbered each piece of the original Gothic barn structure so that it could be reassembled and reinforced properly ensuring building integrity. 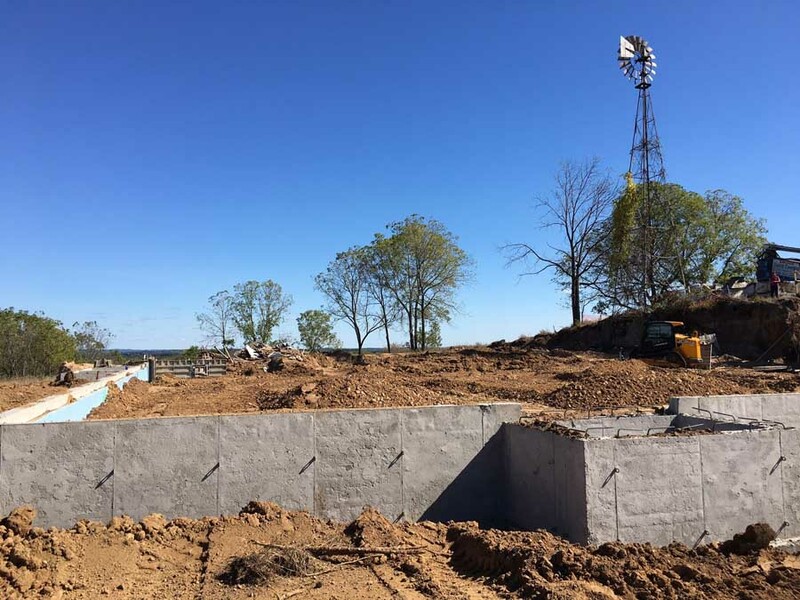 Another important reason for removing the entire barn is to maintain employee safety while establishing a solid foundation. Before foundation can be poured, excavators go deep into the earth to reach rock. In a few weeks, once all the backfill (dirt) is laid back over the foundation, we won’t even see much of it! It is an amazing undertaking from an engineering standpoint what a construction company can accomplish to ensure the safety of its employees and the future safety of the structure during events. We are so grateful to be working with KSW out of Verona, Wisconsin, on this project. Follow the construction and restoration through our Instagram page.